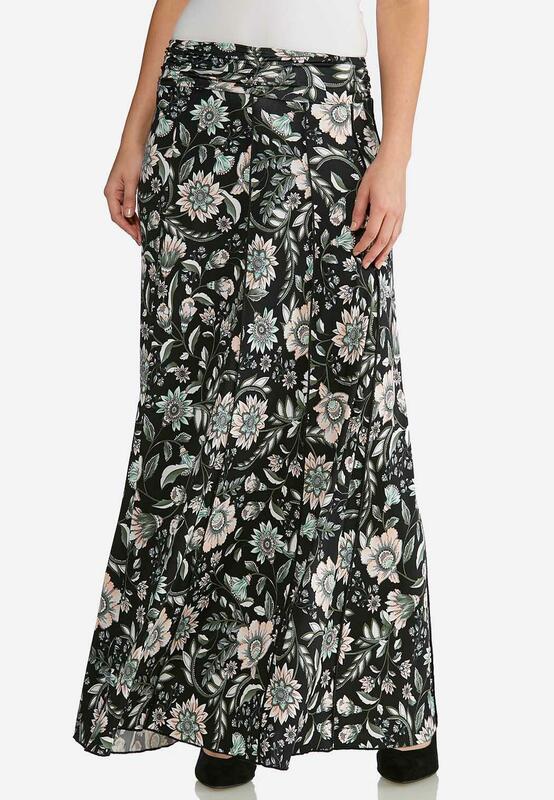 Let your wardrobe bloom this season with this buttery soft maxi skirt, featuring a comfortable stretch knit, ruched pull-on waist and a-line silhouette. 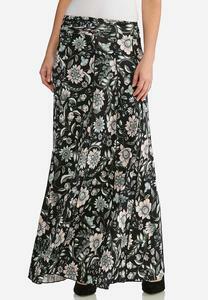 This maxi skirt is amazingly soft and comfortable. The length is perfect for my 5.7 height. The online picture doesn’t do it justice. The subtle blush colors are so pretty on the sage green. 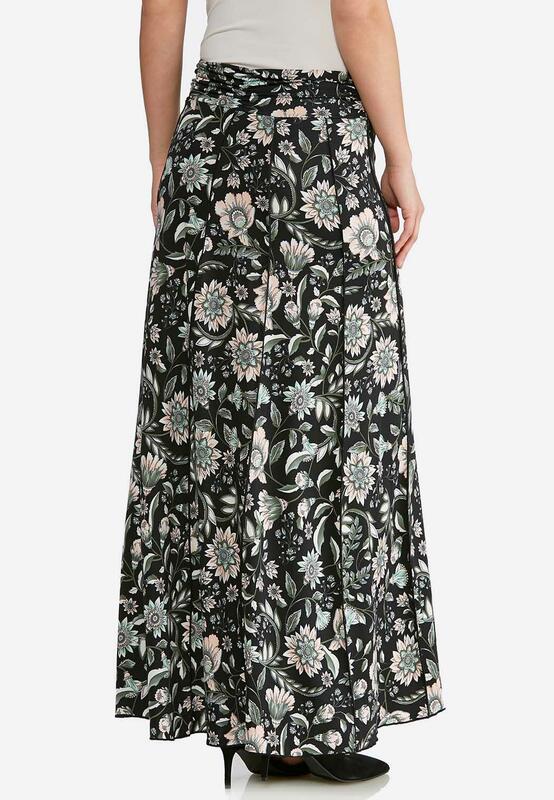 Very pretty on.